Andy, Chris, Sam, Conner, Yale, Dalton, Ashley, Robbie, Jeff, Jordan, Aiden, Hunter, Duncan, Cosmos, Magnolia ,Sunshine, Soma , Olivia. 8/10/18. Currently in the state of Washington visiting our daughter and our 5 grandchildren. 2148 RV miles to get here. Leaving in a few days to visit another grandson in salt lake. Beautiful country here in the northwest. Looking forward to the 55th reunion. My email is jrepasz@firstfcr.com if anyone interested. Best wishes to all and may God always bless you.5/8/2015. Still managing my investment practice and still very enjoy working with my clients with their retirement needs. No plans to retire as long as the Lord blesses me with health. Marge and I are starting to take more time traveling in our RV. Spent seven weeks in the Sarasota area in Florida in the month of march and parts of April. Enjoyed great weather and great beaches. We are taking an RV trip in august to the state of Washington to visit our daughter ,son in law and five beautiful grand children. Probably take five weeks to make that trip and a few gallons of gas!! !Hope to see a lot of you at the 50th. *******Not much to update other than looking forward to our reunion that's just around the corner. Our Missions to Haiti continue and the conditions are not any better than they were in January. However we are providing medical to over 15,000 Haitians this year. Without us us they would get no care. We will always appreciate your prayers. Again, looking forward to our 45th. End of update aug 10. We returned from a medical mission to Haiti last Saturday night. ( feb 10 ) The devastation is 1000 times worse than you see on TV . Our team saw over 2300 patients and did over 35 surjuries. Our organization is The Friends of the Children of Haiti. We have been going to Haiti for 25 years and send 6 missions each year. Look us up on the web at www.fotcoh.org. If you see fit to make a donation it will be greatly appreciated.I look forward in sharing this Haiti experience when we meet this fall. Can't wait to see all of you. Forty four years is a long time. a brief recap: my first marriage only lasted 4 1/2 years. We had two chilren, Jerry and Jennifer. They have lived in California for many years. Sadly, I have very limited contact.Marge and I have been blessed with 4 wonderful children and as you can see they have blessed us with many grandchilren. My youngest son Ron is serving his 3rd tour in Iraq, would greatly appreciate yours prayers for him and of course all who are serving. Marge and I will celebrate 37 years of Marriage on 8/5 this year. Like all marriages we've had our ups and downs but our strong Christian faith has given us the wisdom and strength to make it last . I have been in the financial services industry since 1974. I own my own financial services company with over 600 individual clients. Even with the unpresidented times ,I really enjoy my practice. I have no plans to retire. Maybe I'll slow down when I start to feel old but that hasn't happened yet. Seriously, I have many clients who are old and I feel obligated to continue to serve them. Marge and I enjoy golfing, camping ( we have a nice RV and try to use it as much as possible ) and of course all of our Grandchildren. We are also very active in our Parish and several Christian organizations, especially Cursillo. Enough for now. I'll never forget the day we took off in Gary Coat's blue 1960 Chevy and had a mishap with a couple dogs. It wasn't our fault but we probably shouldn't of been driving where we were or the time of day we were there. Also, I'll never forget the day Coach Bowers drove us up to Defiance College. Those in the car know exactly what I'm talking about. What fun we had !!! I'll never begin to thank Coach Bowers for the impact he had in my life. God broke the mold when he created Coach Joe. My 1966 Defiance College Baseball team is being inducted into The Defiance College sports hall of fame on 8/6/18. We had a great team for being a small college team.Looking forward to being there in august. Quite a nice honor and surprise!! Make God # 1. The earth is temporary and Heaven is for eternity !!!!! Be kinder and more compassionate to all that crossed my path. To have the wisdom that my life was not and is not about me. Gerald Repasz posted a message. Gerald Repasz posted a message. New comment added. Gerald Repasz has left an In Memory comment for Joe Walker. So sorry to hear of Joe's passing. Played football with Joe. Joe was always smiling and such a nice man. RIP Joe. Gerald Repasz updated profile. View. Gerald Repasz has a birthday today. Gerald Repasz added a comment on Profile. 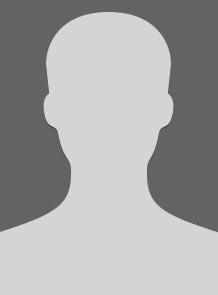 Gerald Repasz has left an In Memory comment for Profile. I am also sorry to hear of Rodney's passing. I met him at South Jr High. I pray he is now at peace with the Lord. My prayers are with his family. Gerald Repasz has a birthday today. New comment added.